We are hearing “do more” since we have become American ally in false war of error. America has demanded too much from Pakistan. This war was started with few bases given to America to and now every day hundreds of lives are given to America because we are American ally. America attacked adghanistan mainly to find osama bin laden because he was called mater mind of this incident. But as soon as America took control of Afghanistan, osam bin laden was no more required for 9/11. Infact he was not even a suspect for 9/11. Thus this lie was exposed to the world yet every person turned blind eye to this fact. Then America created false drama of osama killing and told 1000 lies and din’t even show his body. This was all done to face the world without embarrassment. 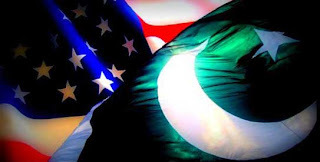 After osama drama, America started pressurizing Pakistan to do yet more i.e. to kill as many Taliban (the true muslim fighters) as she can so that the life threat to American forces can be reduced. But this was impossible because they wanted Pakistan to attack and target haqani who is one of Taliban leader. America once again misleaded the world by calling it “haqani netwrok” and giving impression to the world that a new terrorist organization is born. This lie couldn’t last for long. America again changed her tone and this time she attacked Pakistan forces on borders and killed 24 army men despite of 1000 of calrifications. Again, American forces came up with a new claim that they actually hit those terrorists who attacked American forces and were going to cross borders. This lie was exposed soon when Pakistan army rejected all the reports and claims of nato forces. Pakistan blocked supply for nato through Indus highway. Americans this time created a new drama by saying that from Afghanistan, there are people attacking in Pakistan and they literally weaponized some locals and presented them as afghanis. But despite of all her threats are warning, Pakistan was unable to do it anymore because she is simply not left with any option now. A more recent drama to pressurize Pakistan to do more is the bil presented by congress in US parliament which has demanded independent balochistan on human rights grounds. This is the worst drama and lie spread by America up till now. Balochis have been pumped so much that they do not consider them Pakistani in fact they do not consider Pakistani even humans. This do more has bring Pakistan to the verge of its destruction but our army and govt. are sleeping a deep sleep. Lets see what else will “do more” bring to us because the truth behind do more is only to colonize Pakistan.